So I have another recipe for you. It's a great winter meal....hearty and delicious. All from scratch (the best kind of cooking!). I hope you try it, and I think you will enjoy it! First, bake a few boneless skinless chicken breasts (enough to yield 2 cups when chopped), in the oven with a little bit of water in the bottom of the pan so they don't dry out. A half hour should be enough time. Chop into bite-sized pieces and set aside. While the chicken is cooking, make the pie crust. If you have never made pie crust from scratch, it is so simple, buttery and flaky. You will never return to frozen crusts again, I promise! Combine flour and salt in large bowl; cut in butter with pastry blender or fork until mixture resembles coarse crumbs. Stir in enough water with a fork just until flour is moistened. Form the dough into a ball with your hands and set aside or refrigerate. In a large pot, melt butter over medium heat. Add potatoes, carrot, onion, garlic, salt and pepper. Cook for 12 minutes, stirring often, until vegetables are just tender. Add flour; cook for 2 minutes, constantly stirring. Slowly add chicken broth and cream. Stir to combine. Return to a simmer for 2 minutes, stirring often. Remove the pan from heat and add chicken, frozen peas and herbs. Stir and pour mixture into a casserole dish, sized so the mixture comes just about to the top of the casserole dish, maybe an inch or so below the rim. Using a floured pastry cloth, roll out pie crust roughly in the shape of your casserole dish (round, oval, square, etc. ), adding a couple inches all around to fold it under and crimp the edges. Place the rolled crust on top of your chicken-filled casserole dish. Fold the edges under and pinch the crust like a pie crust. Make it pretty, your family is worth it! Brush the crust with beaten egg. Using a knife, make a few cuts in the top of your crust for air to escape. Bake for about 15 minutes, or until the crust is golden brown and the inside is hot and bubbly. This recipe sounds divine. And I will definitely have to try this easy crust recipe. I've been away for a while from blogland due to health issues with my momma. I pray for a smoother year and for my momma to be content. Ok..I'm off to read more of your posts. Chicken & Turkey pot pie is one of my fave comfort foods but I never made one myself. Now I have got to try it...thanks! My family *loves* chicken pot pie on a cold day! I use potatoes in mine, too. This is always a big hit at our house. Your recipe and photo look wonderful. Made your yummy recipe tonight. I added a few Bay Leaves. Thank you for the great chicken PotPie recipe for I have been searching for a good recipe. oooooohhhhh... :) looks so so yummy! it's cold and windy as can be in VA today so this would be delicious! oh my! will i ever be stealing this recipe!!! thank you!!! Wow, das war ziemlich interessant. Inspiring, wie gut. Thanks for sharing wie inspirierende Erfahrung mit uns. Du hast recht, du wirklich Leben retten. Great blog, congrats. I love chicken pot pie, but can't seem to get the crust right. Yours looks lovely. Will try this! 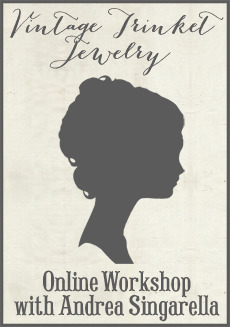 Am a fan of your blog and jewelry for a long time! And I've just started my own lil' blog! Hei der! Jeg er på jobb surfe rundt bloggen din fra min nye iphone! Ville bare si at jeg elsker å lese gjennom bloggen din, og ser frem til alle dine innlegg! Hold deg suveren arbeidet! Excelente artigo. Obrigado por compartilhar informações com a gente, esse blog é muito interessante, obrigado, Desfrute assistindo meu site. Having a swimming pool or a hot tub, from ModernSpa can hot tub and spa be also good choice for you, the many benefits of a hot tub can offer much more. I'm really enjoying the theme/design of your site. Do you ever run into any web browser compatibility issues? A small number of my blog audience have complained about my site not operating correctly in Explorer but looks great in Safari. Do you have any ideas to help fix this problem?